The disturbing truth about democracy in America: There is none – not from inception, not now, FBI Director James Comey’s investigation of Hillary’s mishandling of classified State Department documents one of countless examples. In July, he whitewashed her clear criminality, serious enough to send ordinary people to prison – compromising national security by maintaining classified State Department documents on her private email server, along with lying to the FBI and Congress, a perjurious offense. At the time, Comey said “(i)n looking back at our investigations into the mishandling or removal of classified information, we cannot find a case that would support bringing criminal charges on these facts” – despite clear indictable evidence discovered. 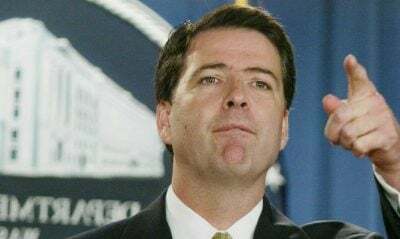 The federal Office of the Special Council (OSC) neither confirmed nor denied if it intends investigating Comey for possible Hatch Act violations – prohibiting pernicious political activities. Law Professor Richard Painter filed a complaint with the office. Its spokesman Nick Schwellenbach said “(i)n general, OSC opens a case after receiving a complaint,” investigations taking from days to months, depending on the nature of the issue and its complexity. If the OSC finds Comey in violation of Hatch Act provisions, it’s up to the president to decide what, if any, action should be taken. “But I’ll neither defend nor criticize what director Comey decided to communicate to the public about this investigation,” Earnest added. If Hillary succeeds Obama, she’ll likely want Comey replaced, despite his 10-year appointment running until September 2023. Charging him with wrongdoing under the Hatch Act seems unlikely. Proof of intent to interfere in electoral politics is required to hold someone culpable under the law, a hard case to make against Comey based on what’s known so far. Former FBI official Ed Shaw said he’s in “a no-win situation. He’s made everybody mad at him.” According to his allies, “stay(ing) silent before an election in the face of potentially significant developments in the Clinton case would invite a torrent of Republican congressional hearings,” the Guardian explained. Stephen Lendman lives in Chicago. He can be reached at [email protected] His new book as editor and contributor is titled “Flashpoint in Ukraine: How the US Drive for Hegemony Risks WW III.” http://www.claritypress.com/LendmanIII.html Visit his blog site at sjlendman.blogspot.com. Listen to cutting-edge discussions with distinguished guests on the Progressive Radio News Hour on the Progressive Radio Network. Stephen Lendman lives in Chicago. He can be reached at lendm[email protected] His new book as editor and contributor is titled "Flashpoint in Ukraine: US Drive for Hegemony Risks WW III." http://www.claritypress.com/LendmanIII.html Visit his blog site at sjlendman.blogspot.com. Listen to cutting-edge discussions with distinguished guests on the Progressive Radio News Hour on the Progressive Radio Network. It airs three times weekly: live on Sundays at 1PM Central time plus two prerecorded archived programs.